We can provide you with a JNF collection tube or pin box to place at your till point, bar, counter or even to place near the vending machine at your work for small change. All we ask is that you make sure it is secured with the chain provided. The JNF team can make arrangements to have the contents uplifted, you can remit the proceeds by cheque or directly through the bank. We love any excuse to come chat to you, your colleagues or staff about how your support is used through the JNF – so get us along anytime. We have great little donation cards made for restaurants, cafes, coffee houses, takeaways and bars. You can choose if you would like a part of the customer’s bill, dessert & coffee or perhaps an amount or percentage from the ‘dish of the day’ to be donated to JNF. All proceeds go toward the work carried out by JNF to help reduce the number of suicides in Scotland. We can send you a flat-pack collection box that is perfect for spare change and pennies – free your wallet at the end of the day and watch as it all adds up! These are also great for taking into school, on your work desk or in the staff room when you are doing a fundraiser. 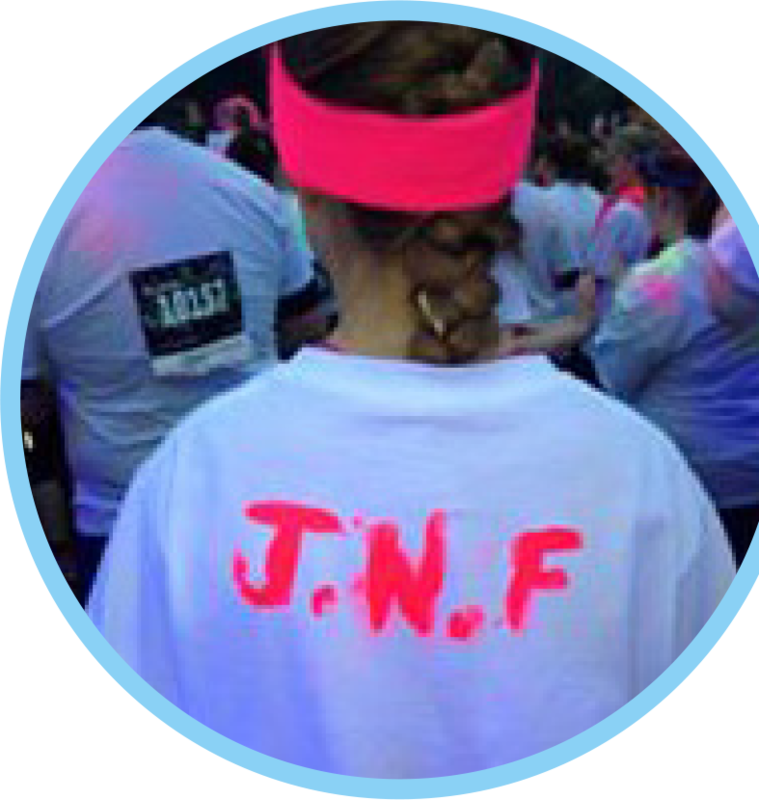 JNF team always welcome the involvement of volunteers to help at local events and improve our services. We currently have a small band of local volunteers on our team, each bringing their own skills, abilities and life experiences. Our volunteers are from all walks of life, all ages and so there is a broad range of volunteering opportunities to be had with JNF. As one of our volunteers, we’ll give you an introduction to the charity and keep you up to date by e-mail and newsletter. Volunteering is as much about the people you volunteer with as it is about the cause you are volunteering for. As a mental health charity JNF endeavour to support you as much as you support the charities’ work. Head to easyfundraising.org.uk/ causes/jnf/ and join for free. There are no catches or hidden charges and Joshua Nolan Foundation will be really grateful for your donations. It is FREE to use plus you’ll get access to hundreds of exclusive discounts and voucher codes, so not only will you be helping a great cause, you’ll be saving money yourself.